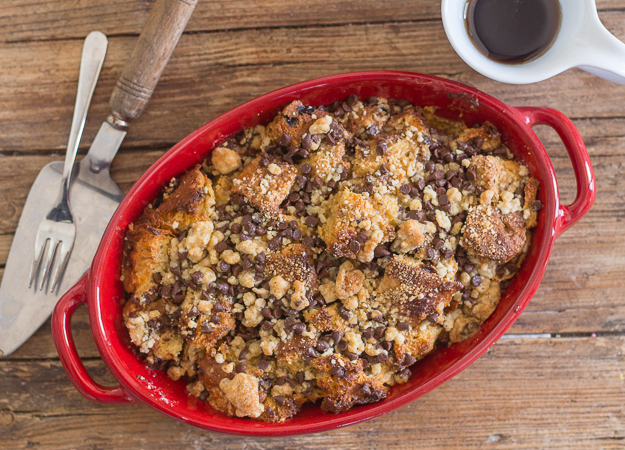 Easy Panettone French Toast Casserole. 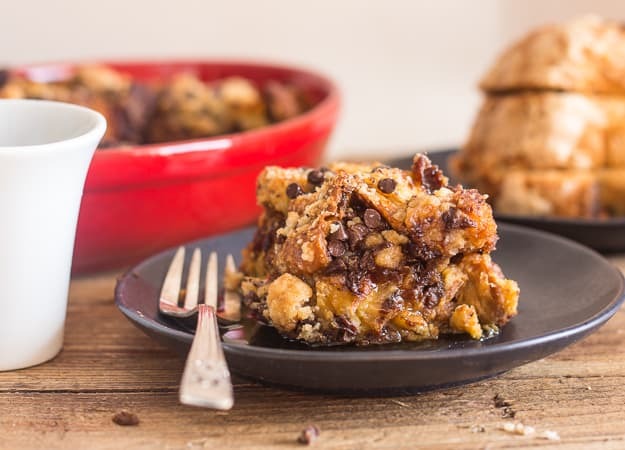 It’s almost Christmas and what better way to start off the day than with a Delicious Panettone Breakfast Casserole. Panettone whether homemade or store bought is definitely a must at Christmas time in Italy. And yes it is time once again for our monthly Taste Creations Blog Hop, and for this special month our food idea is Christmas Morning Recipes. So I hope you find some delicious ideas. I have been seeing Panettone in the grocery stores, the bakeries and even the Coffee bars since early October. I was never much of a lover of the Italian Sweet Bread I always preferred Pandoro which has more of a soft and tender cake. Ever since I made my Italian Easter Bread Breakfast Casserole my daughter has been bugging me to take it more often. So I decided why not try it with Panettone? This time I knew adding some Maple syrup right in the mix would be perfect. I bought our first Panettone of the Season and seeing that there was half left over I thought it would be the perfect amount for this casserole. Enough for a family of four. And yes this year we will be celebrating all together. Best Christmas present ever! 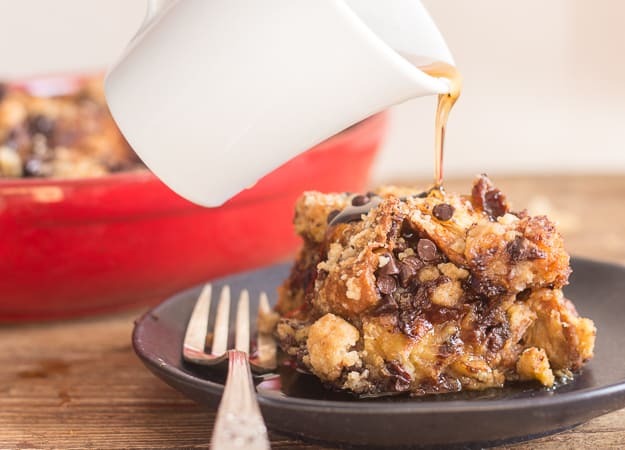 More Streusel Topped Recipes you may enjoy! 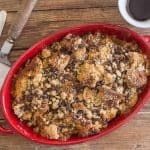 This delicious Easy Panettone French Toast Casserole would probably work with any type of sweet yeast bread. But if you have any leftover Panettone now you know what you can make. Enjoy! 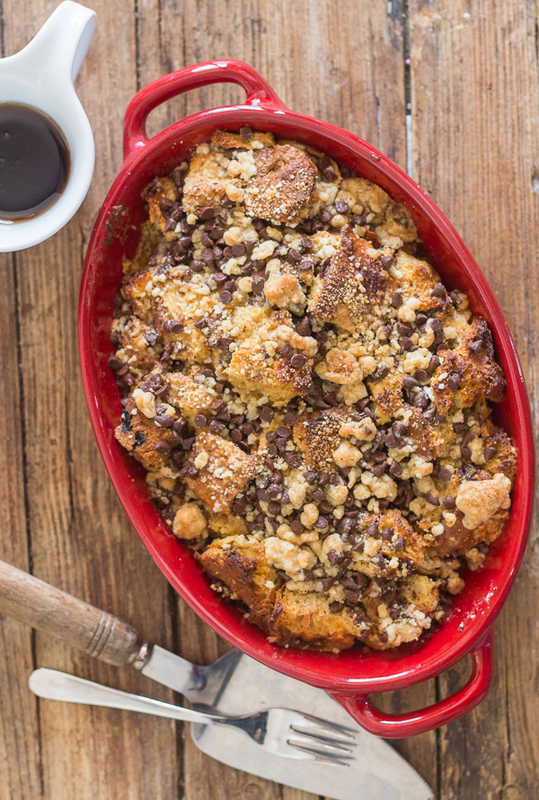 Easy Panettone French Toast Casserole a quick and easy breakfast bake, maple syrup, cinnamon, brown sugar & a crunchy chocolate chip topping. Pre-heat oven to 350°. In a 9 1/2 x 6 1/2 baking dish add 1 tablespoon melted butter. In a small bowl whisk together the brown sugar and flour add the butter and combine to form coarse crumb, stir in chocolate chips. Set aside. 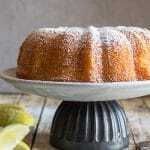 In a medium bowl whisk together eggs, milk, syrup, brown sugar and cinnamon. Add the cut up Panettone and gently combine. Pour into prepared baking dish top with crumb topping and bake for approximately 40-45 minutes (if the top starts to brown too much cover with foil and continue baking). Drizzle with maple syrup before serving. Enjoy! Hi Kim, I have never done it, but I think it would work, although I would add the topping just before baking. Hope that helps, let me know how it turns out. Have a great week. Thank you so very much ! 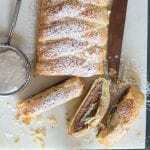 I’m going to Definitely makes a make some of your Italian desserts! 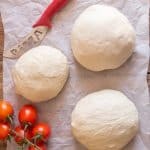 My parent just passed away this year and will miss all there Italian foods . Thank you for this website!! Looking forward to making your recipes!! 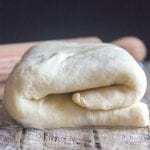 I love to cook and bake !! Hi Beth, thanks so much, I hope you enjoy them and let me know what you try. Condolences to you for the loss of your parents. Your recipe looks delicious! Thanks for sharing!